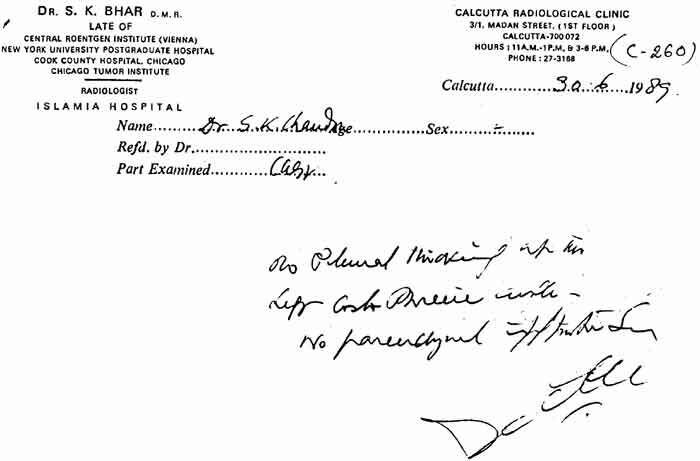 Chest X-Ray report of Dr. SKC, before treatment. Chest X-Ray only 4 months after treatment. 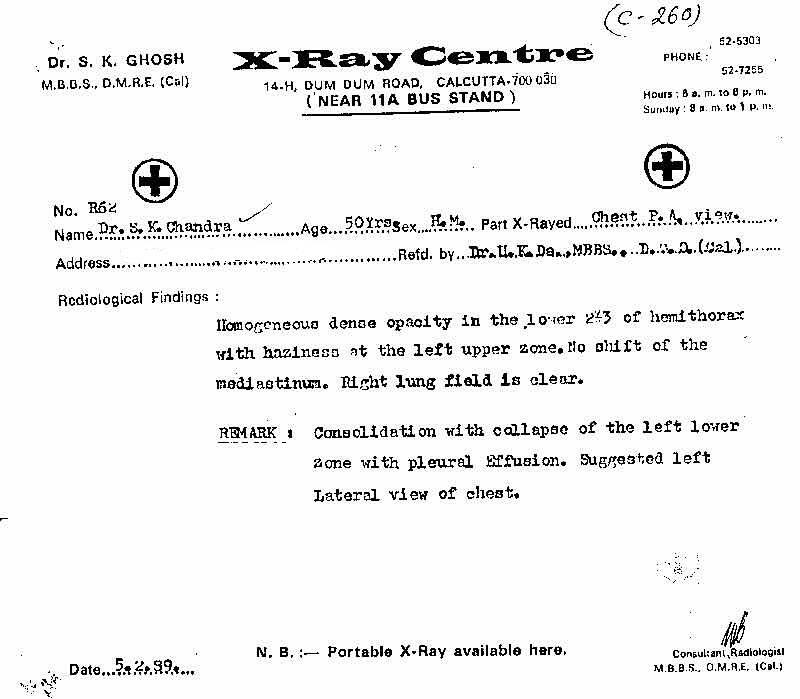 Chest X-Ray report only 4 months after treatment.